1. Where is HongLong School? Our School is in the Centre of Athens! 1 Veranzerou str. (3F) , Kaniggos square. Only 3 minutes away from Omonoia metro. 2. What’s the differences between HongLong School and the others? Chinese language training is all we do best. For more than 10 years we’ve been helping our students learn Chinese successfully. 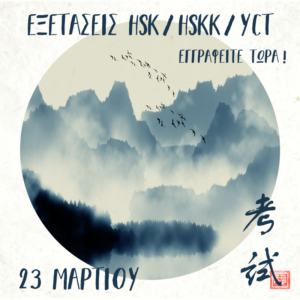 We are leading the field of Chinese language education in the area of Athens. Our School is the only certified test center in Greece for all categories of degrees (YCT, HSK, HSKK, BCT, Teachers Training Certificate). In our School a student has the excellent opportunity to learn both the Chinese culture and language. 3. How does HongLong school choose teachers? HongLong School has a very strict policy about the teachers that cooperates with. All of our teachers have University Degree , or Master Degree, in language instruction. 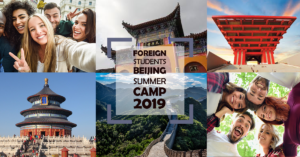 They are either native speakers or in the highest certificated level in the Chinese Language, they also have great experience in teaching Chinese. Our teachers speak at least 3 foreign languages. They are most willing to spread the Chinese Language. 4. How difficult is the Chinese language? As any other language in the world, the Chinese language has some parts that are quite easy and some difficult to understand, especially for Western people. First of all, one of the easiest part is grammar which is not complicated, the words are simple and easy to remember. On the other hand, Chinese lacks alphabet, the syntax sometimes is hard to get used to and the characters seem impossible to memorize for some people. 5. What language courses do you offer? Our School give the chance to our students to have Chinese lessons, Japanese lessons and Greek lessons. 6. How can I learn the characters? The key to learn the characters is practice. You need to find time to practice on a daily basis. Apart from that, another exceptional approach to memorize them is writing dictation and small essays every time you have a lesson, using everyday expressions. 7. What about the speaking part? Speaking might also seem difficult to some of you due to the fact that the syntax is unusual while the words are too short. In order to attain the right pronunciation, one often needs to listen to Chinese dialogues, practice speaking and involve in a conversation wherever there is a chance. 8. How much does the class cost and how do I pay? The cost depends on the study level . You can either pay at our School or deposit the fees to the bank. 9.I don’t live in Athens, can I study Chinese? Yes, of course you can start studying Chinese. HongLong offers distance lessons . You can either choose to do lessons in groups or private. 10. I am sorry but I don’t understand English, I only speak Greek. You can still participate! All our teachers speak at least 3 languages: Greek, Chinese and English. 11. How long do the courses last? The courses last 8 months. 12. How many lessons are held in a week? 13. How many students are assigned to each class? Depending on the level, the maximum number of students per course ranges between 4-10 participants. 14. In how long I will be able to speak and understand basic dialogues? You can be able to speak and understand basic dialogues when you reach HSK1 level in 50- 60 hours. 15. Is private lesson in my house possible? 16. After how long will I be ready to take the HSK1 test? After completing 60 hours of lessons , you will be perfectly ready to take it and achieve high scores. 1. What are the costs for the exams ? 2. When is the next exam is going to be held? 3. How can I pay and when? 5. How the candidates are examined with the computer and how they can write the Chinese characters on the keyboard? Each candidate has his/her own FULLY EQUIPPED PC which is consisted of a desktop, a screen, a keyboard, a mouse and a headset. For the Writing part the candidate can easily write Chinese characters by using the pinyin system, just by pressing the Latin characters that are on the keyboard and choosing the equivalent ideogram on the screen using his/her mouse.